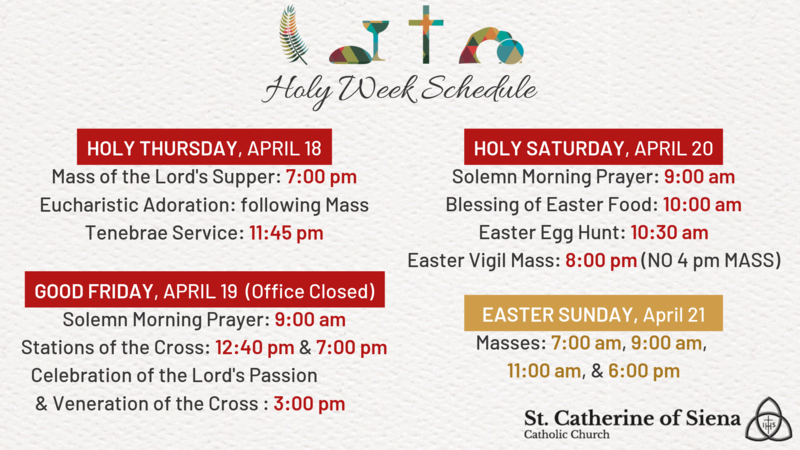 Join us for all of our Holy Week Services here at St. Catherine of Siena. 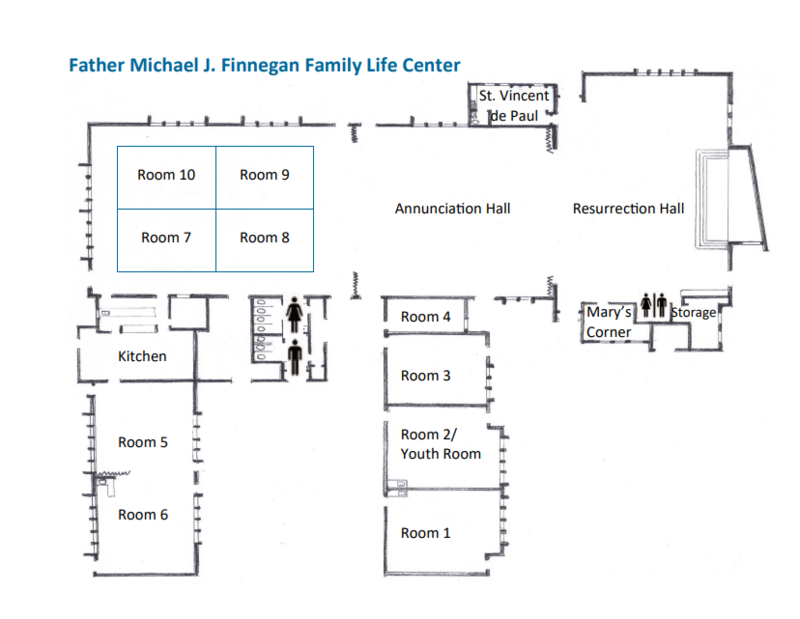 May we all accompany Jesus in a new way throughout His Passion, Death and Resurrection. Click here to view a full detailed schedule of the week.